Upgrade Your Look, Upgrade Your Comfort...Upgrade to an Echo Pedicure Spa! Are you ready to join the ranks of renowned salons and spas around the world? The Echo Pedicure Spa by Continuum will help you do just that, with its captivating lines and distinctive, sophisticated looks that highlight a design that is innovative as well as inviting. Continuum's number one seller, the Echo is equipped with all the features and amenities essential for day spas, resorts, and distinguished salons. 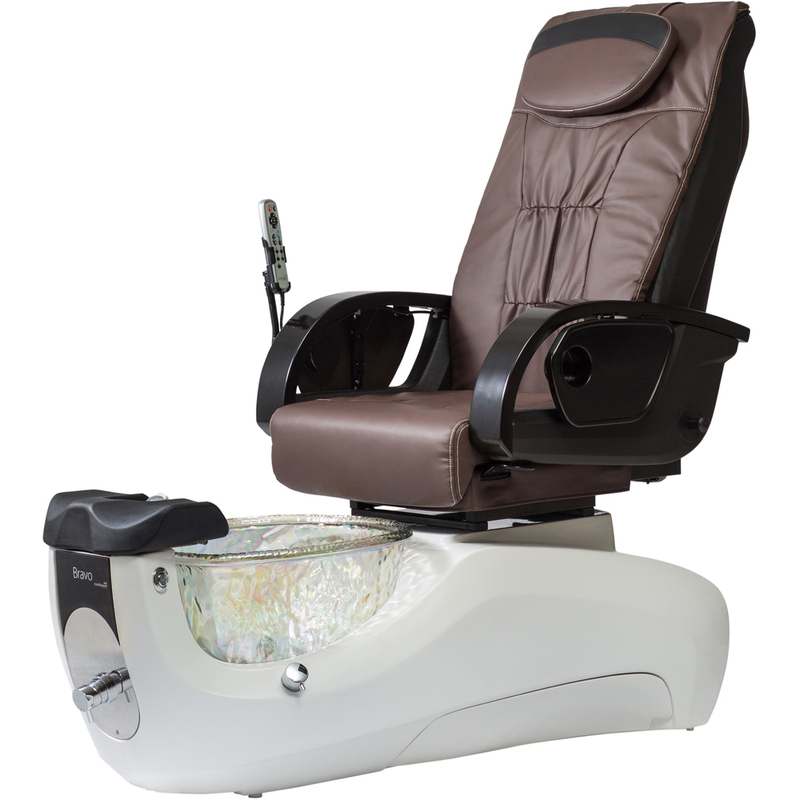 The Echo LE (Luxury Edition) chair has a full (rolling, kneading, tapping and knocking) shiatsu back massage that provides the client with a 'hands-on' deep-tissue massage. 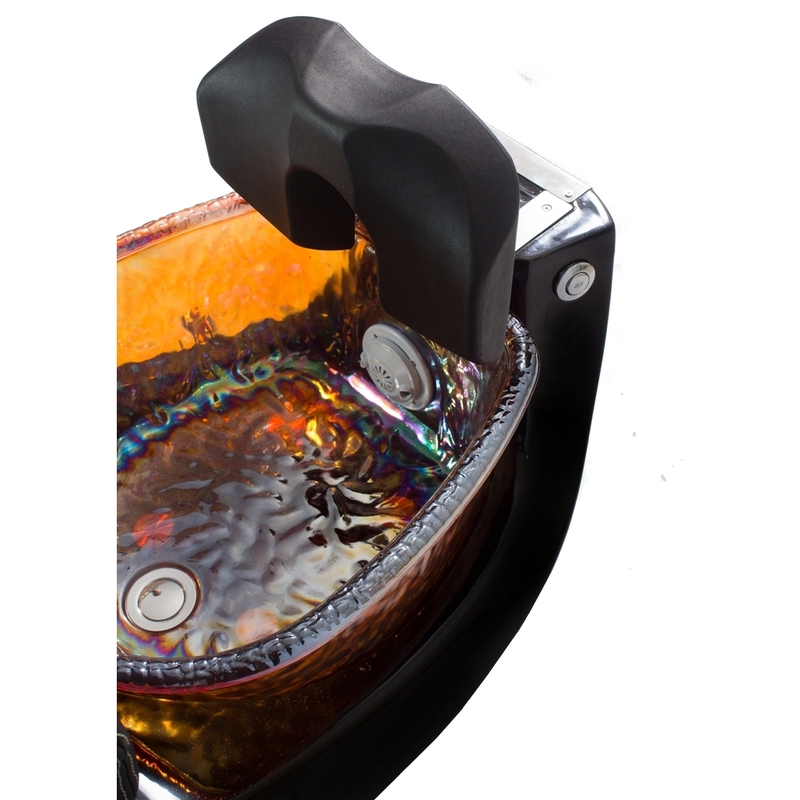 Fold-down acetone resistant manicure trays with cup holder and convenient dual pivoting arms add elements of quality and convenience. Premium ultra-leather, molded arms, and commercial-grade massage mechanism are also some of the upgraded features of the LE chair. An American made, welded steel frame provides each Maestro, Echo, Vantage and Simplicity arch with maximum strength to support the entire pedicure spa. Continuum is the only pedicure spa manufacturer to use a steel frame design for extra support (up to 350 lbs.) on the entire base, chair, and basin of the spa. Quality and attention to detail on every Continuum pedicure chair separate us from the competition and gives you total peace of mind. No more tired and sore arms from holding the clients leg up during the pedicure! Whether you are massaging the calf, working on the heel or painting toenails, the adjustable height center footpad coupled with fixed right and left pads, position the foot perfectly throughout the entire pedicure. Continuum's unique acrylic-capped fiberglass basin is extremely durable and produced to resemble the color and look of a classic porcelain tub. A river stone textured bottom provides additional sensation, enhancing your customer's pedicure experience. This stain, chemical and crack-resistant basin is also backed by a two (2) year warranty. It's instantly recognizable as "Continuum." And it looks like nothing else. Created by the renowned designers at Brooks Stevens, the Echo Series is the ultimate combination of luxury and affordability. Set your salon/spa above with the one-of-a-kind Echo pedicure chair. 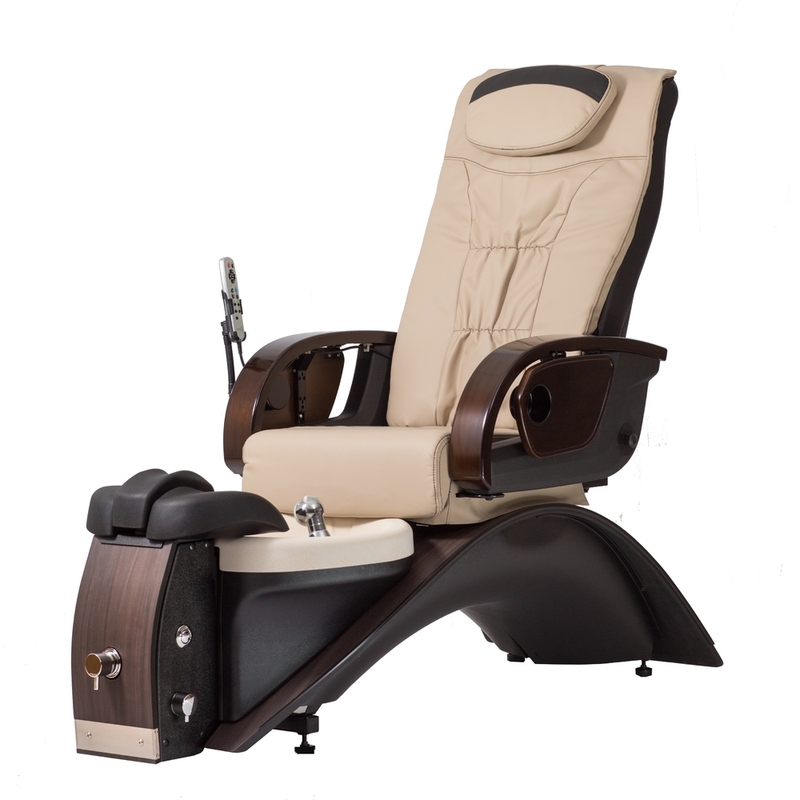 Continuum pedicure spas are designed, engineered, assembled and quality tested exclusively in the United States. All major components are produced domestically resulting in superior quality and increased longevity. When you purchase a Continuum pedicure chair you're assured a high quality pedicure chair built to last.